Voices, combined with the highly efficient e-learning program Learn English, is a powerful course for C Class students. Teenagers will find this book exciting as it features a host of interesting topics: travelling and adventure, dressing styles, nature, sports, music, etc. 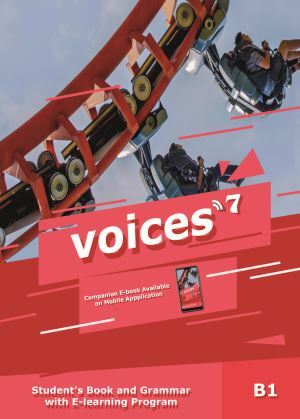 Voices 7, along with our powerful Learn English program, is a great course for the B1 level. Its topics have been carefully chosen according to the needs and interests of teenagers. Students who want to prepare for the B1 Preliminary (PET) examination will find this course particularly helpful! 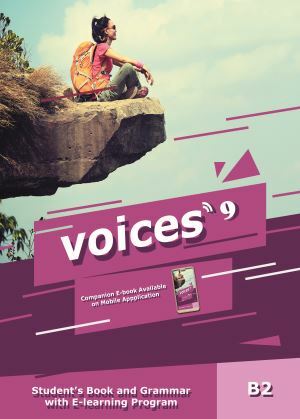 Voices 8 is a motivating course for teenagers, featuring intriguing and helpful topics. Combined with the groundbreaking Learn English program, it will guide students to learn all the necessary vocabulary and grammar for the B1+ level in a fun and effective way. 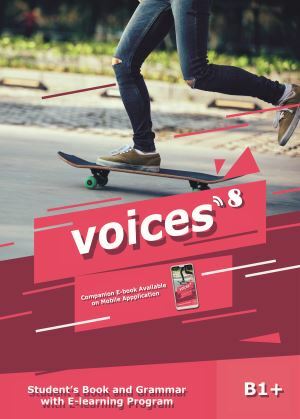 Voices 9 is the best choice for teenagers who want to advance their language skills and prepare effectively for the B2 First (FCE) examination. With the help of Learn English, our amazing e-learning program, students will develop their knowledge of English while gaining new perspectives on science, art, culture and everyday life.